FindItMore | Rwanda is a small East African country with big attractions. It provides a rich blend of natural and man-made environments which are a beautiful sight. It has great landscapes, exciting architecture, a large variety of flora and fauna, and delightful and warm people. Rwanda is a magical place that you should make a point to visit. Rwanda, which has been nicknamed the land of ten thousand hills and a million and one smiles, will prove to be a paradise for you. It could provide the moments that will stay with you for the rest of your life. You should be wary of travelling to Rwanda, as the place and the people are so beautiful and welcoming that you may never want to go back home. 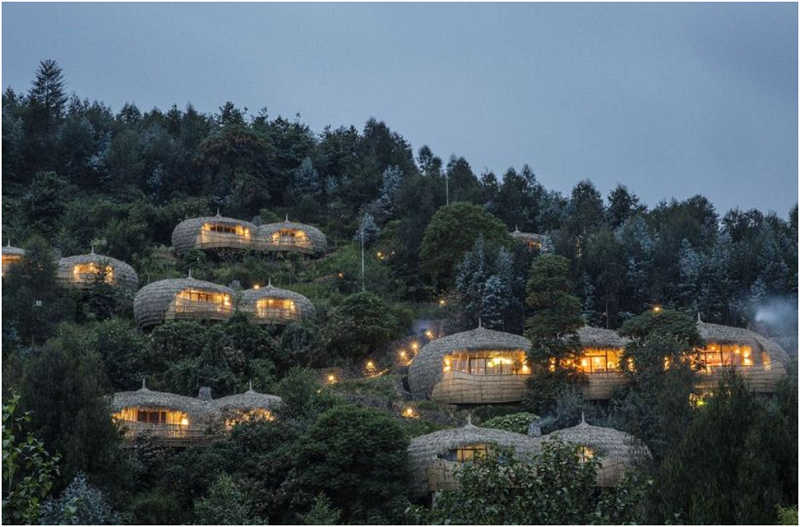 Here’s why you should consider visiting Rwanda for a vacation. Rwanda has the leading global population of mountain gorillas. Most other countries have diminished their mountain gorilla populations so much that there are no longer any in the wild. In fact, there are only three countries around the world where you can find these magnanimous creatures existing freely in the wild. Of the three, Rwanda is the leader in ensuring that the mountain gorillas are protected. 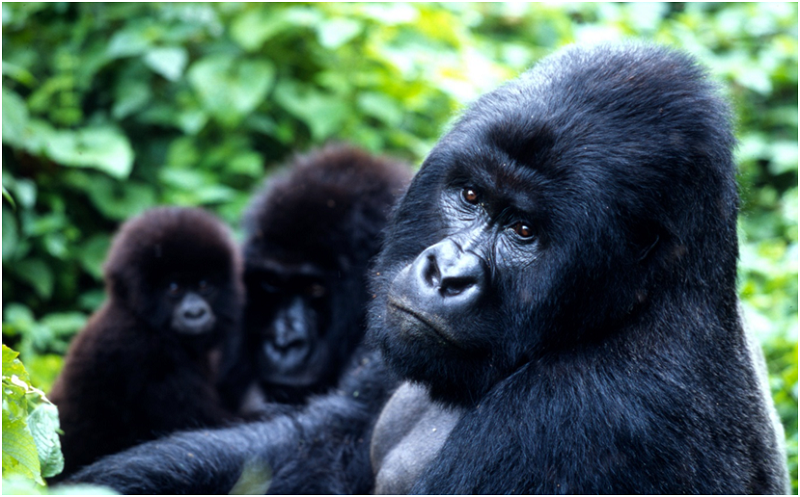 In Rwanda, you will explore a beautiful mountain environment and get to observe the gorillas in their natural habitat. The conservation efforts carried out by Rwanda will ensure that the mountain gorillas remain a prime tourist attraction for a long time to come. Even if you can’t travel today, consider visiting Rwanda when you go on your next vacation. The glorious mountain gorillas will still be a sight to see! Kigali blends the modern with the traditional and the urban with the natural in an exciting way. Rwanda’s capital city is a rich monument of history, featuring genocide memorials that will educate you on the country’s troubled past. You will explore and learn about one of the modern world’s biggest tragedies at the Genocide Memorial Centre, thanks to its comprehensive selection of written and audiovisual testimonials, graphic photographs and weapons. The mass graves at the genocide museum will move you. It also has modern architectural designs in its landscape, which features a blend of the natural environment and city life. Kigali is a must-see attraction on the basis of its aesthetic pleasure. For an added benefit, you can still work and socialize over the internet as Kigali has one of the fastest and most reliable connections in Africa. If you are free on Thursday nights, you can visit Pasadena in Gikondo, which is still within Kigali, for all-night salsa dancing. Lying on the border between Congo and Rwanda, Lake Kivu offers great relaxation for visitors. At Lake Kivu, you will enjoy swimming and boating near the lake’s picturesque shores. The water is unpolluted, the shores are clean and the area is safe. 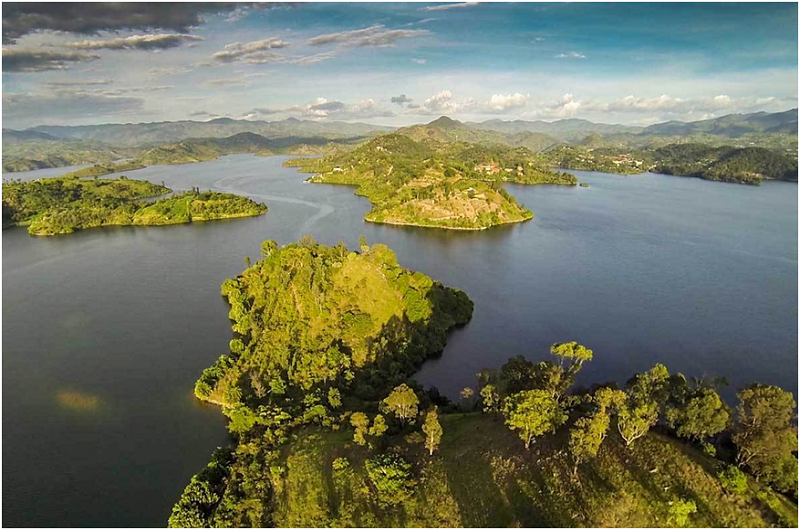 You could also visit the border towns of Gisenye and Kibuye which are accessible by boat. The lake can be deceptively deep. You should ask local patrons where the best places for swimming are before taking to the water. You could make it a more convenient trip by hiring a guide to help you out. Butare is the country’s main cultural center. At Butare, also called Huye by locals, you will explore the rich cultural history and traditions of Rwanda. Butare has the biggest cultural museum, which features a detailed presentation of Rwanda’s traditions. You will explore traditional Rwanda up close and get to see how the country’s interaction with the modern world helped to shape its development. Butare is also a few minutes away from Nayanza, also called Nyabisindu, which is home to the magnificent royal palace of Rwanda’s rich history. There are hotels and accommodation facilities near both these sights, making it a convenient visit that does not need to be rushed. 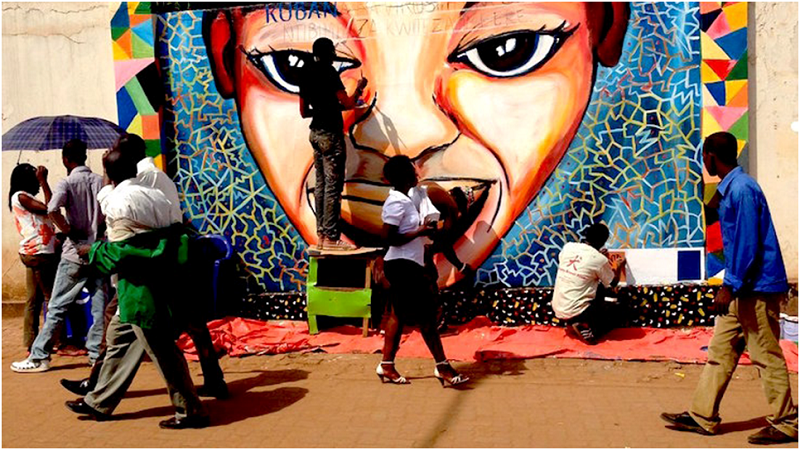 Rwanda has taken up a number of community-based artistic projects that have been designed to celebrate Rwanda’s artistic side. It also celebrates Rwanda’s artists by offering them a public platform to express their art. The public arts initiatives have helped to define art in Rwanda through music, dance and painting. Recently, the government sanctioned a number of public arts projects, such as the unique ten-storey mural that was painted on a public hospital by Rwandan artists. It also sanctioned a public atrs space, the Ivuka Arts Centre, which is open to interested members of the community to learn and practice various types of art. It is also open to visitors who are interested in viewing the art or the artists at work. Rwanda’s markets offer a variety of products that represent different sides of the country. You can enjoy the healthy harvests from the productive Rwandan environment thanks to the large selection of organic fruits, vegetables and fresh produce. The tamarillo fruit is a particular favorite with the local people. Aside from eating, it can also be made into juices and jams. You can also appreciate Rwanda’s artistic and cultural history with a range of arts, crafts and fabrics. You will find something ideal for you as the traditional textiles that come in a range of patterns and colors. At Kimironko market, remember to ask for the wax-printed kitenge. The fabric can be used to make comfortable and stylish shirts, scarves, dresses, pants and curtains. Remember to apply for a Rwanda visa before you visit the country. It is generally easy to qualify for a visa. However, your passport must be valid for at least six months from the day you enter into Rwanda. Before applying for the visa, please consider this to ensure that you are eligible for a visit to Rwanda. You may need to recruit the services of a guide for a better experience. They will provide detailed information that will help you understand the contextual history, which will make your sightseeing experience an educational one as well.